Malaysian property prices are expected to climb again this year or next year as our economy has been booming for the past few years. It has been some months since I talked about property prices and in my last few articles I was trying to show how population growth can drive property prices upward. Last year, 2011, many of my property clients had asked me if the property prices will collapse by 2012 as they were looking at events in Europe and making the assumption that if Europe sinks it would affect the property prices here in Malaysia or at least the Klang Valley. As a property agent I am working on the ground and take little note of the news originating from the West. My answer to them was that our property prices would not be affected by events in Europe. Much of the news from the West is scare mongering. There are many with vested interested to see the Western stock markets drop in price so that they can gain financially from another recovery in prices. Some major news networks in American have been consistently hammering the bad new scenario so that behind the scenes operators can make huge profits. It is almost like insider trading but what is really bad of such news organisations is that they really didn’t care for their own economies and they have been trying to manipulate the markets. They do this by trying to force the stock market to collapse and then buy huge amounts of cheap shares. The bad news propagation began in 2009 and became really bad in 2010 with double dip gloom. It was so bad that my initial suspicion was that they were trying their level best to force the American economy to collapse. This is the main reason the American economy was slow in recovering. This Western scenario was the background to all the rumours and speculation that property prices would drop in Malaysia in 2011. These rumours were spread by those who had insufficient exposure to the real property market in Klang Valley. They hadn’t done any investigation or gone to the ground to see with their own eyes what was happening to property prices in the Klang Valley. Non of these people had a working knowledge of the property prices in the Klang Valley, even though they claimed to be experts on property prices. Being a property agent I was always on the lookout for good opportunities and good deals. And by 2011, I noticed that almost every factory and shop was rented out. Back in 2009 there were hundreds of small factories waiting to be rented out, in the Klang Valley. By 2011 there were hardly any available. This was an extremely good sign that our economy was booming. In fact the situation has got to the point where there are no more factories available for rent or for sale in the Klang Valley. Worst still the factory developers are building the wrong type of factories now, which I foresee will not be rented out. When we turn to look are the residential market and residential property prices we find several other phenomena taking place. Firstly, I was told that Bank Negara, our Central Bank, was trying to cool the residential property market and stall the property prices from rising further. That was their first mistake. When rumours were circulating of a property price drop and Europe was in difficulty, Bank Negara should have encouraged the property market growth by making loans available to would be buyers. This is because the property market has a huge multiplier effect on the economy. I had clients who wanted to purchase the houses that I had for sale but could not get the loans. The situation was so bad in 2011 that many real estate agents could not close any deals for at least 9 to 10 months. Then I found that banks were undervaluing properties so badly that some properties were providing a 25% return on investment based on rental income and bank valuation of the property. Do you seriously think anyone will sell the property when the rental income is providing 25% return on investment per year? 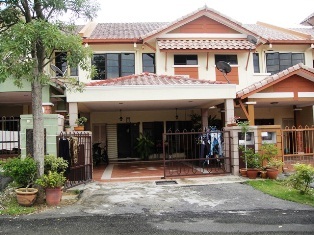 I had properties in Putra Perdana Puchong valued higher than properties in Old Klang Road, Kuala Lumpur. Have you heard of Putra Perdana? How can the property prices in Putra Perdan be valued higher than the property prices in Kuala Lumpur? The whole system of property prices valuation was in a mess in 2011 and I think this mess could be traced back Bank Negara's regulations. With a fiasco occurring in the secondary commercial and residential market the property developers were raising their property prices by 25% to 100%. If you can't buy properties in the secondary market, what do you do? You check out what the developers have to offer, right? As a result I had quite a number of frustrated would be buyers. Some of them would not even want to come and see the property without me confirming how much loan the bank would give for the property. I have never seen this in my entire real estate life – buyers calling to confirm what price the bank has set for the property and not the market price. There were many frustrated buyers last year. Many would just scolded us on the phone even though we, as real estate agents, had nothing to do with this. Well we will see if this discontentment is reflected in the coming elections. The problem with Bank Negara is that they really didn’t know what they were doing. They could not differentiate between speculation and real demand. Over the years, I have had many headaches and difficulties with my dealings with Bank Negara so I was not surprised with their numerous mistakes, errors and U turns in policy since 1998. What will happen to property prices in Malaysia in 2012 and 2013? What do I think will happen to property prices in 2012? Let us look at the situation clearly. There are about 80,000 to 100,000 new, first time buyers entering the property market every year. The figures are my estimates and I have not seen any published figures. Last year there was a lot of difficulty even to try to purchase a property. That means there are many unsatisfied, unfulfilled buyers left over from last year. What do you think they will do this year? They will come back into the property market and there is probably going to be another round of increases for property prices this year or next year.